Today’s business landscape continues to unravel into an abundance of technological progressions—and with that—comes several modifications in consumer demand. Take a look thru this thought-provoking white paper and get a deeper understanding of how manufacturers and vendors must adjust their go-to-market and channel management strategies with channel partners. Why motivation thru channel-based incentive is best practice strategy managing a p2p relationship. 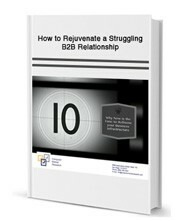 Fill out the form on the right to download your free copy of “How to Rejuvenate a Struggling B2B Relationship”. What software would you like to learn more about? Channel InventoryChannel POSCo-op/MDFDeal RegistrationERP/CRM IntegrationOpportunity Mgmt.PartnerPortalRebate Mgmt.Reseller ProfileShip and Debit/ADCMSPIFF Mgmt.